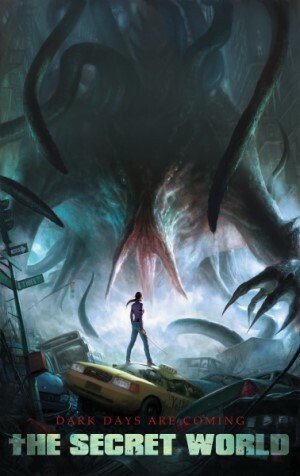 The Secret World is an immersive 3D Sci-Fi Horror MMO which offers all of its players complete customization of their play style. There are over 12 different weapons to use and over 500 total skills belonging to those weapons. With a lore rich storyline and multiple quest branches and expansions, TSW offers a seemingly endless gameplay with a deep horror background. Everything in the game is fully voice acted which brings complete life to the world around the players. The three secret factions, that lie beyond the veils of reality, are locked in a constant war and only the players who follow each secret society can decide how things will play out. Will you be Illuminati, the all-seeing eye, the Templar, protector of justice, or the Dragon, an assassin built society? Vast array of weapons and skill combinations to fit all playing styles. Incredibly rich and dark lore that is very atmospheric. Large player base, so finding groups is quick. Great expansions with lots of missions to enjoy with each. Several equipment types to create unique builds that are completely interchangeable depending on the situation (some fights require more health while others more damage). The missions are all repeatable with daily cooldowns to allow for replay options. Mature personalities on many of the NPC’s. There aren’t any mounts, and sometimes having to run around everywhere can be tedious with all the monsters about. The enemies can get repetitive as entire zones are flooded with the same type of enemies. The maps are not open world, so you have to travel through the portals to get to another map. Skill bar limitations prevent a truly custom feel to the skills, since many of the buffs would use up all the space for attack skills as well, most players use a standard setup (2 attacks 3 buffs/support skills, and 2 heal skills). When you die you have to run back to your body in order to respawn (tedious when in group missions). Dying in a dungeon locks you into the respawn point until all players die or the next boss is defeated (if the healer goes down, must start all over). Although The Secret World doesn’t have any classes so to say, it offers a unique feel that you, as the players, create your own class. With a dual wielding weapon system and over 500 skills to choose from, each player can have a truly personalized class of their own. Upon creation, each character has a wide variety of customization option for both basic and advanced customizing. There are many hairstyles and outfits to go with each look. And if the players don’t like how things turned out, it’s not permanent, as they can now go back and change it by visiting a plastic surgeon in the main cities. All outfits have at least 6 different color schemes and can be interchanged with any other outfit parts. This adds the option of making your own style. Some outfits are also gained from questing, which is something many other games do not offer. With a combat system that has so many possible builds, they had to have some limitations. You may dual wield any two weapons together, and a third unique weapon with 1 skill of its own, but you can only have 7 total skills on the skillbar. This makes the players have to research what skills will complement each other before just picking any 7 skills. Some of the weapons are swords, claws, blood tomes, assault rifles, shotguns, pistols, and even sledgehammers. Everything in the game is aggressive and will potentially try to kill any player that passes by. The monsters range from zombies, to ghosts, to sea creatures, and even vampires and werewolves! Following the horror theme, there is almost no creature that isn’t lore friendly. The mechanics of the combat follow that of a hack N’ slash style. There are several AOE’s for both frontal cone and full 360 rotations that provide a pretty strong coverage of a defensive survival. I favored the sword myself, mainly because it has a spammable 360 rotation AOE. The questing system in TSW has proven to be one of the most enjoyable ones I have ever had the chance to play. Each quest is fully voice acted, and follows into a lore richened history of the world of conspiracy and secrets. The game is exactly as it promises, a world where all myths and conspiracy has become reality, and this gives a unique theme that no other MMO to date has had. All of the missions tie together in some way or another, often requiring other missions to be unlocked and completed before they are acceptable. The dungeons and raids also tie in with the rich history behind everything that goes on. Puzzles are also one of the main ideas for several hundred quests. Some of these puzzles are simple, while others actually force you to have to look them up in a browser to find and solve the riddles. Players are not keen on spoilers and will not help by giving exact answers to any questions asked about these. Many of the quests contain a very intense fear factor, which can easily make all participating players a bit jumpy. I’ll admit to being a little scared of several that I can think of because they had nailed the fear factor perfectly and it keeps you on the edge of your seat at all parts of the quests. And best of all, EVERY quest aside from the main storyline is repeatable on a daily basis. If you find a quest that you enjoy more than the rest you can do it every day! Even more so, all quests scale to your current progression, so doing those easy starter zone quests can actually get you all the way without ever touching another zone. Like most other MMO’s, TSW contains a massive option for PVP as well. From 3 unique battle arenas, and 1 open world type (capture the base) instance, there is plenty to go around for all players. Obstacles are found throughout all of the PVP instances so that it’s not just another open battleground, but instead a battlefield with height advantages and ambushes around almost every corner. One in particular is Fusang, an instance where the players capture bases lined around a square city block map. In this instance, it’s a constant ongoing battle between the 3 secret societies. Players can enter and leave at any time. There is also a daily quest and 3 repeatables for each society to capture bases, kill enemy players, and building golems and turrets. Before entering, the players choose which role they will play while inside the PVP instance, giving bonuses to that role and penalties if they play others while in that role selection. This can be changed at any time as well by simply re-entering as a different role. Although the game offers a lot to keep the players busy, you’ll often find yourself waiting for mission cooldowns. While in-between timers on your favorite missions the only options are to PVP or do Dungeons, which can both become a bit repetitive. 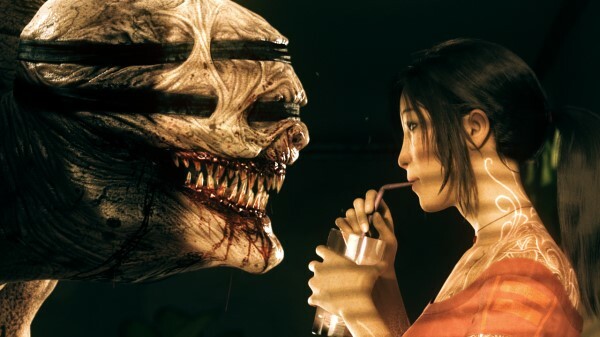 The Secret World delivers on every promise it makes, and it makes each player feel wanted and original since no two are alike. There is well over 5 weeks worth of missions alone, and many of those often taking several days to even figure out how to complete them. The lore is amazing, and the combat system keeps you on edge, and fearing what might jump out from behind the corner 5 feet from you. With everything voice acted, there’s no lack of life in TSW. The cut scenes also show off some of the game’s effects that you won’t normally see while just roaming around or fighting, so watching them at least once pays off and adds to the excitement. I could actually see myself playing this one!